Home › Featured › REPEAL COSTA HAWKINGS! 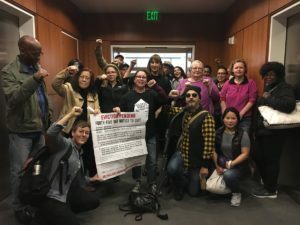 Tenants paid a visit on December 5 to State Assemblymember David Chiu’s San Francisco office to pressure him to schedule a hearing on the Costa Hawkins repeal measure (AB 1506) in the Housing and Community Development committee that he chairs. Introduced last February, the bill would get rid of a law that has limited rent control since 1995 when it was passed by the state legislature. Costa-Hawkins removes rent control on single-family homes and most condos, eliminates vacancy control, and doesn’t allow rent control to be extended on buildings built beyond 1995. It has caused rents to rise, evictions to increase and housing to become unaffordable all over the state. If it’s repealed, local municipalities such as San Francisco could strengthen rent control to help stop rent hikes and evictions. 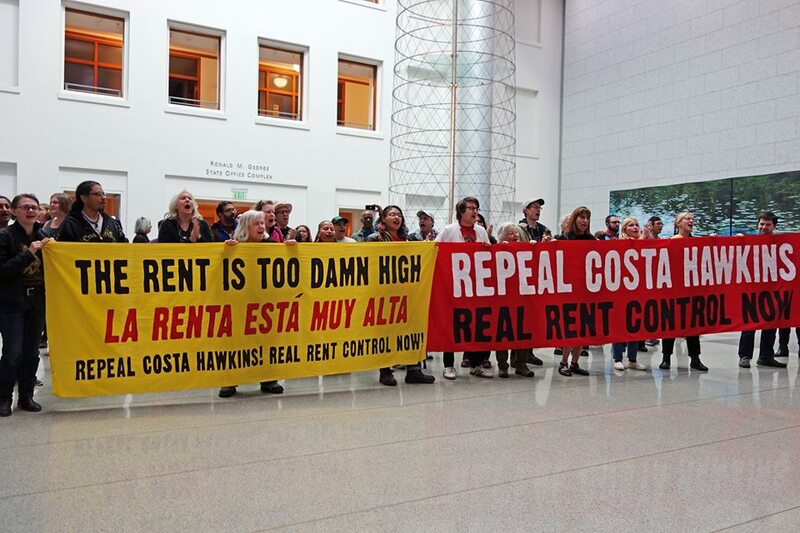 To send a letter in support of the repeal of Costa Hawkins, go to: http://tenantstogether.org/campaigns/repeal-costa-hawkins-rental-housing-act.